Just to report that I have really and truly and actually made a serious and significant start on recording for a new collection of stuff. Several days of preparatory sessions with that nice Mr Wallace, setting keys, tempos, rhythms, etc., paid off in not having to sort those things out on the day, wasting the musicians' expensive time, so we got a lot done in a full day. What's left to do now begins to become much clearer. Yesterday's combo for core tracks was Ian Thomas (drums), Steve Pearce (bass), and Simon Wallace (piano). Plenty of muscle and energy, and loads of musical felicities all over the place (not to be confused with the Musical Felicities who'll be coming in later for BVs). One for the collectors among you: it turns out that Ian and Steve were both in the house band for Clive's last TV chat shows. Great news. When you say, "a new collection of songs" does that mean "a new collection of old songs" like the Midnight Vopices CD or "a collection of new songs" like "Winter Spring?" If the latter, are they new songs as in songs written since "Winter Spring?" I'll buy it anyway but it would be nice to know. Will there be other musicians on the album apart from those mentioned? Godspeed - make sure y'all get plenty of exercise and sleep and nail it good! Er, shouldn't you be tweeting that kind of update? Hello Ian (and everyone) - No, it's not Songbook Vol.2. It'll be mostly post-Winter Spring songs. Most of them have had at least an outing or two at various gigs, so few will be completely new to absolutely everybody, and I may end up including one or two that have been missed out along the way over the years, but essentially it'll be a new CD. I haven't yet decided on the final list. And yesterday was just the first session. There'll be at least another for basic rhythm tracks. And yes, there will be other instruments added, not least electric guitar(s), plus self here and there. Not to rule out other possibilities (horns, voices, who knows? ), depending on what turns out to seem desirable. Oh yes, and budget. And yes, Sylfest, I suppose I may get around to tweeting, but then again I may not. I'm not yet convinced. Terrific news. Both versions of 'Here We Stay'...? Yup, core tracks down for both versions. Even terrificer news. I have a marginal preference for the 'Wagging the Dog' version but love both and the contrast is fascinating. And singing/playing it myself (badly) recently made me realise what a remarkable lyric it is, too. Wonderful. Hope if you add horns, they might include the lovely Mr Alan Barnes. And, on a separate note, finally got to see Coope, Boyes and Simpson last week [at The Trades, Hebden Bridge]. What a fine act. And their interpretation of "AHOLS" remains devastating, and a tribute to both of you, Pete and Clive. A new CD of previously unrecorded songs, as I said so eloquently in one word on Facebook - Exciting!! Wishing you a most enjoyable and productive day Pete. 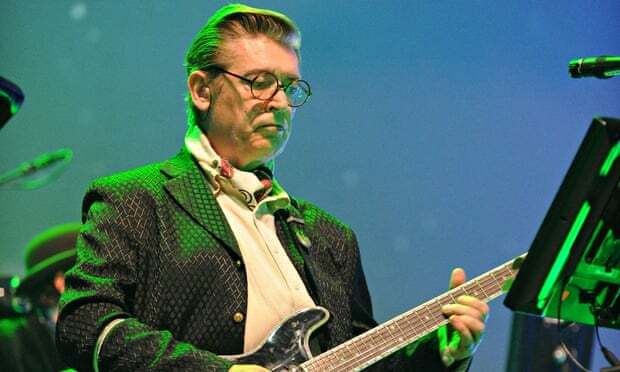 Just a small update -- nine or ten of the tracks feature lead guitar from ... wait for it ... the legendary Chris Spedding, who has lost absolutely none of his abilities in all directions. He even uses the SAME Fender amp which he used forty years ago - and not because he can't afford a new one. He's back now living in Brighton having spent twenty nine of the intervening years as a session man in Los Angeles, and you don't do that by mucking about. I'm currently working on horn arrangements plus charts for the female BVs. Still some vocals for me to work on, but we're pretty well on course to have it all done by Easter or thereabouts for an official release in September. I'm planning to give it as much of a PR push as I can afford, which will also mean raising my presence on Facebook, Twitter, YouTube, etc., so watch out. I'm also doing my best to generate as decent a gig list as I can, which means contacting venues myself rather than waiting for them to approach me, so if there's anywhere you know of where you think I might reasonably hope for a booking, do please let me know (an IM is probably the easiest way). I was inspired by the exciting news of a new album to make a rare posting. Pete's request for ideas for concert venues reminded me of something that happened a couple of years ago when I spent a much needed and very pleasant family holiday in a rented cottage in a favourite village of ours on the North Norfolk coast. Browsing through the visitors' book on the first day, my son suddenly called out "Dad, you'll NEVER guess whose been staying in this cottage recently....." Yep,it was none other than the MV deity himself. As an fan this was rather a spooky coincidence,but now knowing that Pete has a liking for this part of Norfolk can I suggest he tries for a concert booking at the Harbour Rooms in Blakeney. I might even have to book another holiday there myself if it were to come off. Possibilities in my neck of the woods: The Ropery Hall, Barton-on-Humber (in a converted ropewalk under the Humber Bridge); Lincoln Performing Arts Centre; Hull Truck Theatre; Scunthorpe Plowright Theatre. All decent medium-size venues with a local fanbase of right-thinking people. Thanks for that link, Kevin. It's probably about time I posted some kind of an update on the new album. It is now mixed and mastered, the licensing is under way, and the artwork is almost ready, so manufacturing is imminent. Once we have copies, the PR process can begin. If you want coverage (and we do) it is necessary to give editors a decent lead time before official release, a more or less arbitrary but necessary date, which will probably be in early May. I know that sounds a long time away from when I started this process, but it is actually happening. Great news. The sooner it gets out there the better. Can't wait. And will be very interesting to hear The Beautiful Changes and Cottonmouth with this line-up.